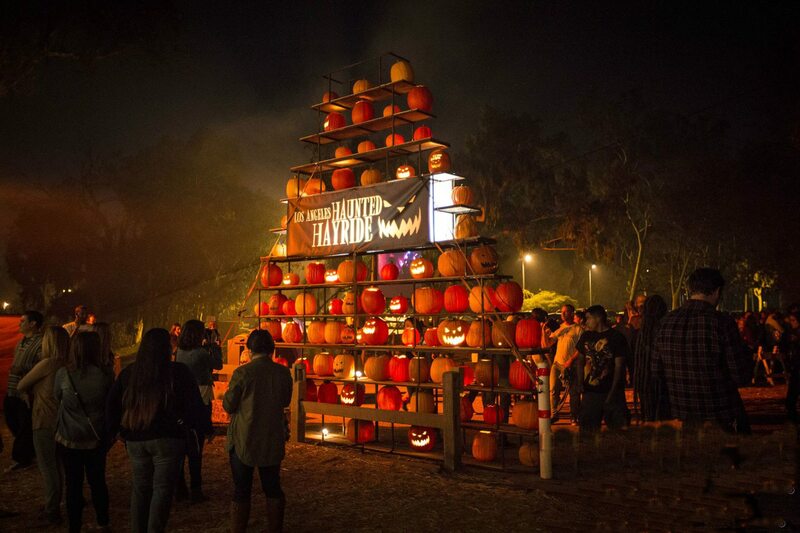 LA Haunted Hayride creates an eerie atmosphere to explore horror themes and ignite Halloween nostalgia. 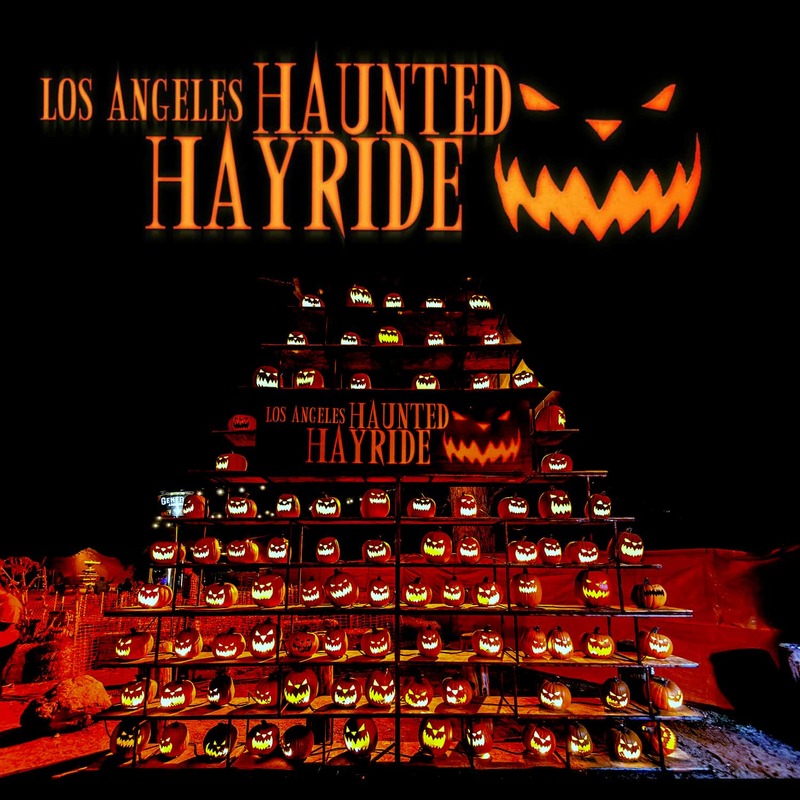 In their most recent hayride attraction, patrons are led on a wagon by haunted hosts while they learn about the Secret Society of Samhain (aka Halloween). Patrons are asked to leave the comfort of their wagon and follow down dark eerie paths exposing the power and sacrifice surrounding our favorite holiday and illuminating that there is more to All Hallows Eve than candy and costumes. 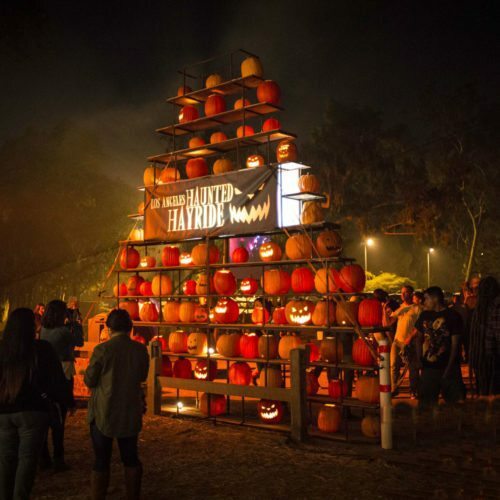 LA Haunted Hayride brings to life the magic and horror of Halloween in haunted attractions emphasizing artful depictions of classic Halloween themes. Secret Society: In their most recent 2016 attraction, patrons ride down an eerie dark path while being educated about Secret Society of Samhain (aka Halloween) by haunted hosts. 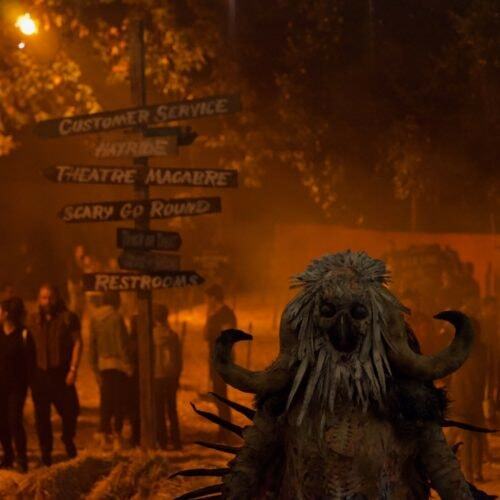 Upon entering the hayride gates, patrons become initiated into the Secret Society of Halloween and are judged into one of two factions: The Elite or The Deranged. In accordance with their new status within the secret society, patrons are placed on a path exposing the clandestine lives of their faction and experience an initiation led by ghosts of hayriders past. Ouija Origin of Evil-House of Shadows: Presented with Universal Pictures, this dark maze leaves patrons literally in the dark. In this haunted house, patrons make their way through the shadows while coming across terrifying demon spirits. Trick-or-Treat: Patrons are invited to go trick-or-treating the in suburbs of Hell and meet its freakish and disturbing residents. Purgatory: Experience the charm and magic of this old world ‘haunted village’. 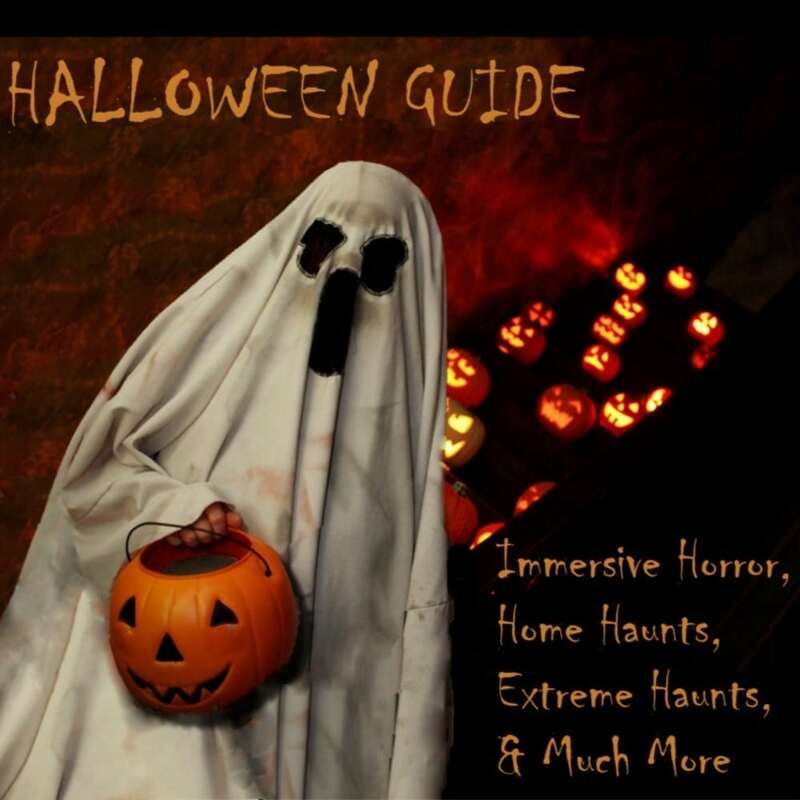 Become a part of the show at Theatre Macabre, ride the Scary-Go-Round, enjoy food & drink at the Grub Shack, step into a murder scene or death device inside Death Row, shop in the Bootique, carve a pumpkin at Jack’s Carving Shack, witness an enchanting light show, or visit a psychic. 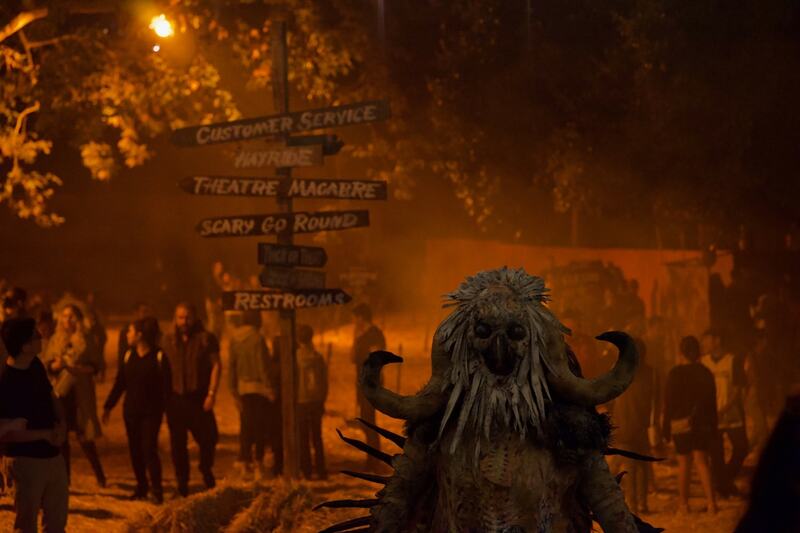 Los Angeles Haunted Hayride – The Clowns Return!